Serge Vladimir Gregory holds a PhD in Russian Language and Literature from the University of Washington. As a graduate student, he spent an academic year as a Fulbright scholar at St. Petersburg University, researching his dissertation on “The Literary Milieu of Dostoevsky’s The Possessed” under the direction of G.A. Bialyi. 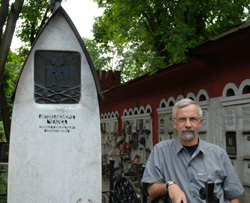 After completing his degree, Gregory spent most of his career outside of academia as a corporate communications manager, occasionally publishing articles and teaching university level courses on Russian literature and culture. His blog “Antosha and Levitasha” is his account of the process of writing a book on the lifelong relationship between Anton Chekhov and the landscape painter Isaac Levitan. He spent June and July 2013 in Moscow completing research on the book. I was delighted to come upon your website during the course of some recent research into Levitan and Chekhov’s friendship. Don’t worry, I’m not also writing a book about them! I’ve written a novel about Chekhov’s time in Ukraine, one of the rare periods when Levitan actually did not visit Antosha. I’ve admired the painter’s work ever since I first visited the Tretyakov Gallery many years ago, and Chekhov I recently “rediscovered”, rereading nearly everything I had first read when learning Russian. My Russian isn’t very good but it will serve to read Chekhov, fortunately. Anyway this was just to say hello and wish you good luck with your project – I’ll be following your blog to watch as it unfolds. I enjoyed researching this period so much, and reading about Chekhov’s vast circle of friends and family, so your blog will only prolong that pleasure. I hope your research in Moscow will go well. Thanks for your encouragement. Knowing that you’ll be following my progress will motivate me to keep things lively, informative, and intelligent. While Levitan and Chekhov didn’t travel together through the Ukraine, I’ve been struck by how Chekhov’s view of nature in “The Steppe,” his great landscape portrait of the south of Russia, so closely reflects Levitan’s–a shared sense of the vastness of the natural world and its utter indifference to humankind. Dear Serge, I’m intrigued by your book–congratulations! I’m particularly interested in whether you touch upon their time in Korolev. I lived there (when it was still Kaliningrad) and was stunned to learn that this was the country and full of dachas in the late 19th century–and that Chekhov and Levitan would have spent time there. What do you know about their time in Korolev? Did they frequent Losiny Ostrov? Thanks, Serge. I’ll check it out. Dear Dr. Gregory: I just found this website today, led to I when I searched on “Levitan” “Chekhov” on yahoo. And why did I search on them. Because I just read Chekhov’s letter of April 8, 1892, describing Levitan and Chekhov killing a bird–you call it woodchuck, the translation I’m reading calls it a snipe–which made me want to learn more about their friendship. And here’s your wonderful site! Thanks so much for creating it. 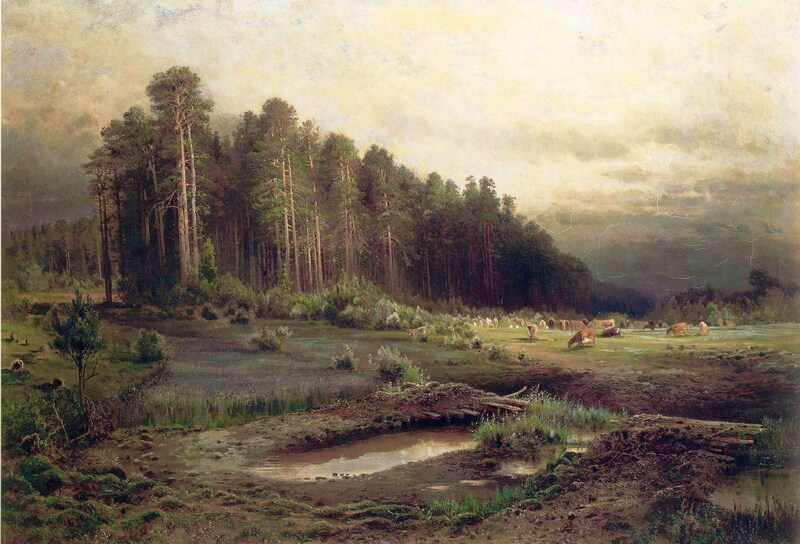 By the way, do you know if Levitan was hunting snipe/woodchucks for sport or because he wished to study the bird? I suppose the former, as his landscapes don’t require detailed anatomical study of small birds. oops. sorry for the typo. Woodcock not woodchuck! The Russian word for the bird they were hunting is Ва́льдшнеп (Scolopax rusticola), which is commonly called the Eurasian woodcock. Levitan was an avid hunter of woodcocks. He was particularly fascinated by the male air mating dance, once dragging his painting students out to the woods in the dusk in the hopes of seeing one perform. I’m not aware of any detailed sketches of the bird that he might have done. Never enough Chekhov! By or about. Thank you! Than halt bewildered on the shore. Just fancy who appears from under!